A previously similar post was 10 Reasons Why People Don't Go to Church, which sparked much readership on petebrookshaw.com. This post takes a different angle. Why do people not believe in God? Let's take this post to mean, 'Why do people not believe in a deity (in whatever form or character that deity has)?' What I am clumsily attempting to say, is that, this post is not about distinguising between the God the Christians follow, from Allah and the Hindu deities for example. That's another complex, interesting, debatable subject for another day. This post is about why some would prefer to believe in no God, than to believe in the existence of a God. Reason 1 - Why people don't believe in God - Evolution provides a better explanation of 'Creation'. I am not seeking to ignite the 'Creation' Vs 'Evolution' debate; there is no doubt plenty of material surrounding that discussion. While there are people who are Evolutionary Theists (that is a God created evolution as the process in which humanity evolved), many hold to the view that evolution in itself provides the explanation of life on earth. You could ask, since when does evolution actually describe how bacteria even came to exist? When you take evolution back right to its beginnings, you are still left with the question of whether that process was created, and if so, how and by whom? Evolution does not provide a better explanation than creation because evolution is in a sense post-creation. To not believe in God because you believe in evolution is then nonsensical. It would make more sense to say you do not believe in God because you believe in the Big Bang (or atleast adhere to one of the many versions of the Big Bang). Reason 2 - Why people don't believe in God - Agnosticism makes more sense. Many choose to be agnostic, as they really cannot say, which way or the other, whether there is a God. Agnosticism according to dictionary.com is, 'an intellectual doctrine or attitude affirming the uncertainty of all claims to ultimate knowledge'. Agnostics are not naive to the complexity of the earth in which we live, but they cannot nail down the reasons for that complexity as concretly as religious people. In a sense, agnostics prefer to live with the tension of not knowing, than claiming to know something that they cannot prove. Reason 3 - Why people don't believe in God - There is no proof of such a God. Christian apologists would disagree strongly with such an assertion. William Lane Craig would bang on about in the inner witness of the Holy Spirit in the lives of God-followers. William Paley has written extensively on the complexity of nature and how it all points to a Creator (The teleological argument for the existence of God). Thomas Aquinas wrote about the cosmological argument for the existence of God. Anyway, this is not a post to convince unbelievers to believe in the proof of God, as there is much that has been written to say that God does not exist. The question is, who is right? Either there is a God, or there is not. You cannot have half a creator. The onus lies on you to decide, based on the evidence, whether there is proof or not. Reason 4 - Why people don't believe in God - Just because. You must admit, there are scores of people who don't believe in God; just because. There is no intellectual reason why they don't. Just because. People have mis-represented God badly over the years. No doubt about that. The Christian God (Yahweh), through Jesus Christ, challenges followers to be on about loving their neighbours, forgiveness and living a holy life. Many Christians have misrepresented that message. Though lets get something clear. Many have represented Christianity, or the Christian faith rather, well. I have loads of friends today, who are trying their darnest to follow Jesus authentically, passionately and with integrity. Here's the thing for me. If a teacher has a sexual relationship with a student, that teacher is appropriately punished. We do not then give up on the education system. Education is valuable and that teacher has misrepresented education. Why are we so quick to give up on 'believing in God' when someone misrepresents the faith they are meant to be following? Can I say, it is just easy to knock religion and belief in God if you can find (which is not hard to do), someone who has lived contrary to its beliefs. Though, hear me out for a minute - If someone is absolutely dodgy, does that really change whether there is a God or not? No. The issue of personal or coporate integrity is still separate from nutting out whether there is a God or not. Quite often our religious viewpoints are merely a product of our upbringing. This is of course the same as our economic situation, our view on sexuality, our opinion on politics and the like. What I am challenging in this post, is to not simply let your belief or otherwise in the existence of God simply exist because 'that was the belief of my family.' Consider the topic yourself. Does creation point to a creator? Is evolution a reliable and valid explanation of creation? Reason 7 - Why people don't believe in God - God does not Exist. This is the atheist viewpoint (as opposed to agnosticism noted above). Accoring to an extensive 2010 survey from Brittanica, about 2-3% of the population hold to this view. The athiest may well say the onus of proof is on the deist to prove the existence of God. The converse argument is of course, the atheist cannot prove there is not a God. This is naturally a circular argument, that goes no where. Even with all the philosophical and intellectual arguments for the existence of God, there is still an element of faith involved. This is not to say there are not great arguments for the existence of God, but that is to say that quite often arguments/premises are weighed up against each other, and one must have faith (to lean either way) towards an argument. I believe the 'universe seemed to know we where coming' argument (teleological argument) is one of the best arguments that leans towards believing in the existence of God, though you still must step out in faith to believe that premise (the converse is obviously true for the arguments for atheism). Atheist - Faith is not a weakness. Dictionary.com defines believe as, 'to have confidence in the truth, the existence, or the reliability of something, although without absolute proof that one is right in doing so'. If someone does not have confidence in the God they believe in, then they may well be of the belief that they can handle life without God. For some, it is not that they don't believe in the existence of God, but that they do not believe in the omnipotence of God. Some would purport that they lack 'revelation' of the character of God. The Christian God for instance has many Scriptures scattered within its Bible of references to the idea that God would never leave or forsake them. The idea, is that God is not only 'up there in heaven' as some say(transcedent), but that God is close and immanent. Handling life without God, fails to understand and believe the promises of God. Reason 9 - Why people don't believe in God - World religions are inconsistent. One may well mention the inconsistency within the belief systems of major world religions. That point is noted. World religions differ. Contrary to what some might say, Allah (Islam) differs from Yahweh (Christianity). Monotheistic religions differ greatly from Poly-theistic religions like Hinduism. Though to choose to not believe in the existence of God because of the relative inconsistency of beliefs seems nonsensical to me. You cannot 'not believe' in the Big Bang theory for instance, simply because there are so many different scientific views on how the universe came in to existence. That is nonsensical. You must look at every viewpoint, and make an assertion based on the evidence. The same is with God. Whether a deity exists is the first question. Then the second question is, who is that deity? We are looking at the former question, while the argument listed here is looking at the latter. While the latter question is absolutely important to answer, you should not be disbelieving in God because of that question in and of itself. The nature and character of God is a whole other discussion. Reason 10 - Why people don't believe in God - ??? Why not comment below and add your reason/s on why people do not believe in God. Maybe you are an atheist and have some fired up viewpoints on the topic. I think I have made my viewpoint clear, and you can find out more scattered within many of the posts on petebrookshaw.com. Short Fiery Podcast - Don't Keep Your Faith Bottled Up! This 2 minute Pod-cast will inspire you!! We must not keep what God is doing within us, to ourselves. If we continually internalize the message of Jesus with never externalising it, then the Christian faith is on a big spiral downwards. Be inspired as you listen to the above short pod-cast. There is something so special about people coming together to share in a meal and fellowship. The more that I have thought about it the more I have come to realise that it is such an important part of life. Some of the best times of my life have been around a dinner table or a camp fire with friends and family. You are always guaranteed to have a great laugh. There is just something about that atmosphere. Those that have experienced it might just know what I am talking about. See, God created us to come together. We were not made to spend our whole lives in isolation from each other. There is a story in the Bible that I want to share with you about fellowship, found in John 21:1-14. This story begins after Jesus’ death and resurrection. After Jesus had died and risen again, he stayed upon the earth for 40 days to show the disciples that he had conquered death and had in fact been resurrected from the dead. When we look at the biblical account of John 21:1-14 we see Peter telling a few of the disciples, John being one of them, that he is going fishing. The disciples said that they wanted to join him. During the course of the night they had not caught any fish. John 21:5 tells us early that morning Jesus stands on the shore and calls out to them and asked them if they have caught any fish and they reply they hadn’t. Now, they do not know it was Jesus, as they had not recognised him (John 21:4). Jesus tells them to then cast the net over the other side of the boat. As they do so they begin to pull in many, many fish (John 21:6). The Bible records there were 153 fish (John 21:11). Even though there were so many fish the net still did not break. As they are pulling up the fish, John, the disciple whom Jesus loves, has a revelation that this is Jesus, and he tells Peter. Peter puts on outer garment and jumps out of the boat. When Peter and the disciples had all arrived ashore, Jesus tells them to come and bring some of their fish over so that he may cook it and that they may all have breakfast together (John 21:12). We see here that Jesus is inviting the disciples to come and share a meal (fellowship). Jesus is the host of the meal. This is a very significant thing in Eastern culture. The coming together to share in a meal is more than just the eating of the meal. The offering of the meal itself is an offering of peace and protection to the guest. When you sit down for a meal, no matter if you are a stranger or even an enemy, this meal is a peace offering. During the time of the meal, the guest is under the protection of the host themselves. If at any time during this meal someone was to try to harm the guest in any way it is customary for the host to protect the guest, even if it is with their own life. The host is also to be the one to serve the guest and make sure that they have all that they need. There is much shame on a person if they are not great hosts. The guest of the meal is the one that is honoured and served during this time of fellowship. How was this offering to share a meal so significant to the disciples? Here we see that they were honoured guests of Jesus. They were the ones being invited by Jesus to share in a meal. He was the host and they were the guests. They are the ones to be served and protected. Jesus desired to do all of this even after his death and resurrection. This is Jesus showing that after being glorified by God he still desires to serve the disciples, protect them and to have an intimate relationship with them. Jesus calls us all to come and fellowship with him. Jesus is offering us peace and protection with God, through a relationship with him. This peace was given to us when Jesus gave his life on the cross and payed for our sin; He died for us so that we could live in this freedom with him. It is so important take up this invitation to come into fellowship with Jesus and find peace with God. There are a number of ways in which we can fellowship with Jesus in our lives. Jesus has called for us to go and spend time with him by being (focusing) in his presence and talking to Him. I have seen in my life that when I spend time with God in prayer I feel a great sense of peace. I have found that this sense of peace lasts throughout the day and week. Jesus also calls us to pray with other people within our church. This is prayer for one another and prayer for the church itself. This is a wonderful time that we can come together to strengthen each other and the church. I have been encouraged so often through this time. I have had prophecy over my life and have been able to help strengthen others. There is also Fellowship within the church community. This is lived out primarily through small groups in many churches. 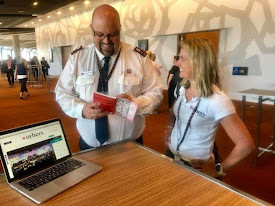 At Salvos3064, we call them Connect Groups, where we have dinner together and then a time of bible study on a fortnightly basis. God speaks to people through this time. For me, this is a great time to learn more about God through others in the church. God speaks through the people in my group to tell me things that I did not know or things I needed to hear. This is a great time of fellowship with God and with each other. Jesus calls us to not only follow him but to worship the Father through Him. This is a time where we can honour him with thanksgiving. For me, worshipping God makes me come alive, I feel as though I connect with Him the most during this time. Will you notice Jesus calling out to you? Will you be like John and recognise Jesus? Jesus brings peace and protection. This counter-cultural as we live in a world where there are so many people living without peace and don’t feel protected. Jesus is calling you to draw near to him and have even greater fellowship. You may enjoy dinner with the family, hanging out with mates, and having a good laugh; though nothing beats having that close fellowship with Jesus. You can deepen that fellowship with him and with those around you, through personal prayer, community prayer, fellowship with others and worship. 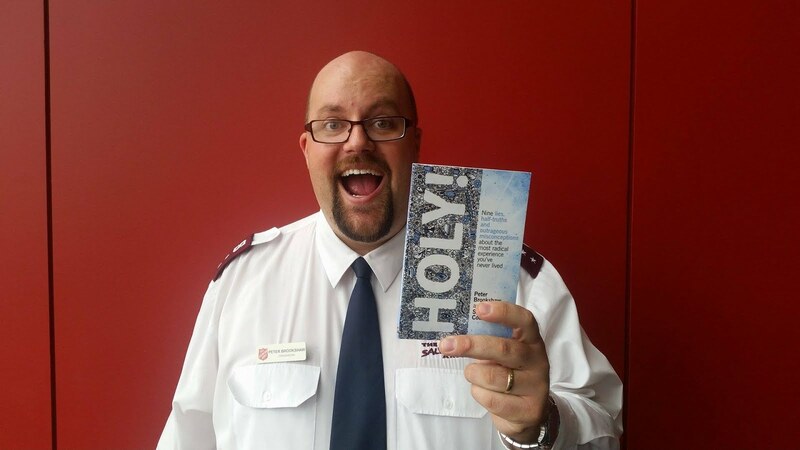 Guest Blogger: David (Macca) Mackertich is a candidate in The Salvation Army, hoping to enter Salvation Army Officer Ministry in the near future. 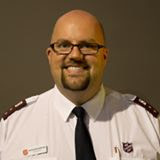 He currently serves in ministry at Salvos3064 (Craigieburn, VIC). See Pete's Blog that unpacks John 20:19-23 - Another appearance of the resurrected Jesus to his disciples. What is Post-Modernism? What is the Difference between Objective and Subjective Truth? Modernism and Post-Modernism? What is postmodernism? What is objective truth and how is that different to subjective truth? What are differences between postmodernism and modernism? What is absolute truth? How do postmodernism and Christianity relate? Have we set ourselves an impossible task? Surely it would be easier to climb Mount Everest; at least we know where the destination is, and other people have already conquered its heights. Can a discussion on postmodernism and Christian truth come to any conclusions at all? Is it not all just relative, and our capacity to make particular judgments on the topic are all flawed and useless, or rather, irrelevant? We could dive in straight away and ask what role do rational proofs of the claims of Christianity have in a postmodern society? But, it is more helpful, in a truly modern way that we define what is meant by a ‘rational proof’. To be rational is to be ‘having or exercising reason’. Evans (2002: 98) says that rationalism is the, ‘Conviction that reason provides the best or even the only path to truth’. To exercise reason means, ‘to form conclusions, judgments, or inferences from facts or premises’. So, a rational proof would be a premise or a conclusion that is made that can be proven by reason to be true. Environmentally, a rational proof would be that photosynthesis is a vital process in ensuring there is the right amount of oxygen on Earth. Historically, a rational proof would be, that Saddam Hussein was executed on 30th December, 2006 and therefore greater peace will come to Iraq in the years ahead. Clearly the first part of the former statement is objectively true, but the second part is subjectively true. Another rational proof, this time within the political arena, is that former Australian Prime Minister Kevin Rudd declined in popularity during his first term in office, and this was the reason Julia Gillard took over the Labor Leadership. The point is rational proofs can at times be objectively true, yet sometimes subjectively true. When a statement is objectively true, it is not debatable; it occurred; it is right and true. Take for example the statement that ‘Prince William was born’. This is objectively true. Take the statement, ‘Prince William makes a great search and rescue pilot’. This is subjectively true. Many may well agree with the statement, but the statement is nonetheless subjective. The question worth pondering is whether a postmodernist would even enter into the finer details of this discussion about truth. The worldview of a postmodernist is that there is no objective truth and no discussion is worth entering into regarding absolutes and objective truths because they do not exist. Interestingly, are postmodernists claiming that there is no absolute, objective truth? Further, is that statement in itself an absolute statement that merely highlights the irrationality of the postmodern movement? Firstly we will delve into the background of modernism and then explore the transition from modernism to postmodernism. Following this, the unpacking of the facets that make up postmodern thinking will be considered, and then how that thinking connects with Christian truth. Lastly, this whirlwind of rational objectivity and relative subjectivity will end with a discussion on rational proofs amongst unbelievers and then rational proofs amongst believers. On any discussion on postmodernism it is helpful to examine the worldview in which this new worldview derives itself. Simply, postmodernism is exactly what the name implies; it is ‘post’ the modern worldview. Interestingly this new, still evolving worldview does not have a name per se, but is by definition simply a move away from modernism, or as Beardslee says it is the breaking away from, ‘the determinism of the modern worldview’ (Dockery, 1995: 34). When delving into modernism we unpack a tradition that holds rationalism up as its trump card, and science and technology as the foundation for its thoughts and practices. As Bosch writes, there was a preeminence of reason, and that ‘Rationalism made such superb sense, particularly since its achievements in science and technology were so manifest…’ (1991: 350). This in essence was the modern worldview – a view that embraced accurate knowledge, provable theses and unquestionable, reliable data (: 350). Ideas, strategies, thoughts and discoveries were best described using rationalism in a modern worldview. In fact, new discoveries in any field, whether it be medicine, theology, science or politics were not generally adhered to or bought into if the new concept could not be proven step by step, with reason. This mindset of reason was what encapsulated the modern worldview for hundreds of years, but in the early to mid-twentieth century, the view began to change. The modern paradigm began to shift. In light of both World War I (1914-1918) and World War II (1939-1945), the steady trust in the conventional ways of thinking was breaking down. In the field of Physics in the early twentieth century saw the likes of Albert Einstein and Niels Bohr communicate revolutionary new ways of thinking, that shifted the very foundation on which science built itself (Bosch, 1991: 350). Lyotard places the shift later, saying that the transition had been under way since the end of the 1950s (1979: 3). This gradual shift would maneuver every field of thought and practice, from science to politics to entertainment to a new era of theological thought. Oden writes that the time span of modernity was 1789 to 1989 and that we now live in ‘after modern consciousness’ (Dockery, 1995: 25). Actually it is better to place the ending of the modernist worldview back in the post-Second World War days. Arguably there are streams of modern thought that still exist today, so to even mention that the modern worldview has completely shifted is naïve. What interests us here is the shift in theological thought brought on by the wider societal shifts of these worldviews. How has our theology changed in light of postmodernism? More importantly, how has this changed our apologetic task of communicating the gospel to the world? One way of expanding it is to recognize that language cannot be absolutely accurate, that it is impossible finally to “define” either scientific laws or theological truth….neither science nor theology “proves”; rather, they “probe”. This recognition has led to a reevaluation of the role of metaphor, myth, analogy….and to the rediscovery of the sense of mystery and enchantment (1991: 353). Postmodernism has the tendency to be suspicious about overly analytical, scientific and rational approaches to understanding. The meaning of anything is held to the subjective view of the one who has the view. There is a suspicion related to linguistics, as Bosch mentioned above and written texts. In fact as Henry writes, ‘Texts are declared to be intrinsically incapable of conveying truth about some objective reality’ (Dockery, 1995: 36). This is really, what is labeled as ‘destructive postmodernism’, where ‘absolute relativism prevails’ and ‘objective truth is intolerable and nonexistent’ (: 38). So should we abandon any form of rationality because of this intruding postmodernist worldview? Is reason to be thrown out with the murky bath water of modernism? As Young writes (Bosch, 1991: 353), we need to take the best of the modern science, and politics and philosophy and the others field of knowledge established and developed throughout the modern years. Though, what we should be wary of is ‘reductionism’, that is, the modernist attempt to reduce everything down to absolute, objective, verifiable statements that explain all of reality. In contrast postmodernism offers the ability to rediscover mystery, and to explore new ways of thinking. This does not necessarily contradict all the premises and understanding of the modern worldview but rather expands on it. Some like William Lane Craig argue that postmodernism is a lie of the devil, and that individuals still hold strongly to objective truths, e.g. the label on a bottle of rat poison (1984: 18). Other apologists and theologians have provided different thoughts, including Kenneson, who chooses to embrace postmodernity as a way to engage people with Christianity. He says that moving away from modernity, ‘gives the church the opportunity to explore other paradigms without being fixated on such matters as objective truth and evidentialist and rationalistic justifications for that truth’ (Okholm, 1995: 20). …that lordship must be visible somewhere; it can never be objectively true, nor should we desire it to be, for such a desire not only requires us to bow down to the modernist god of objectivity, but more importantly, it involves us in denying our very reason for being (Phillips, 1995: 168). He closely relates a Christian’s embodiment of the gospel, with the truth the Christian is claiming. He seemingly says that if a Christian, for instance, is not living the lordship of Christ in their life (whatever that objectively means) then the statement is not valid. Surely, the truth of such a statement (the reality of the Lordship of Christ) is mutually exclusive to the behaviours in which one chooses to live out in relation to that truth. Let me say, that if the statement is: “Libraries have an extensive array of knowledge within the books on its shelves” and I choose to not read any of the books and choose not to avail myself of that knowledge, it no less changes the truth of the original statement. Kenneson’s postmodernist view on Christian truth is classic postmodern monologue; after finishing reading his explanation on relativism and objective truth you are left without clear reasoning on why objective truth apparently is not important. You are left wondering on what foundation an evangelical can even build their theology (See Phillips, 1995: 155-170). Some concern must be raised to a mere embracing of everything postmodern, and neglecting the truths espoused through various epochs (medieval era, the reformation, modernism, etc) throughout the history of the Christian Church. 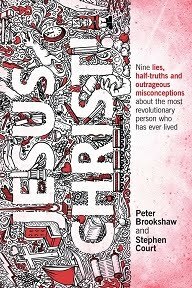 Take for instance, the credibility of the historical evidence for the resurrection of Jesus, which includes documented evidence of over 500 eye witnesses to a risen Christ. A destructive postmodernist would call all historical documents fabrications and label them as distorted realities based on human’s infallible attempts to describe their circumstances. By chasing a rabbit down this hole of relativity, we lose any grasp of truth we think we had, and we stifle the exploration of Christian truth, as we find ourselves questioning every little theological thought we communicate. Importantly though, on the other hand, we need not lift up modernism as the perfect worldview with a patent on truth that no one can question. We must forge ahead with understanding the gospel and the biblical writings in this new worldview of postmodernism. We must also refine our thinking on missiology, ecclesiology and Christian apologetics within this new era of thought and practice. The postmodern worldview challenges our overly rationalistic, analytic way of theologizing. Grenz writes about postmodern evangelical theology when he comments, ‘It must embody the biblical understanding that the cognitive dimension does not exhaust either the human person, reality as a whole, or the truth of God’ (Dockery, 1995: 85). He continues to say that it opens up the place of ‘mystery’ within the context of theology and rational truth. It sounds like the words of Colossians 2:2 where the Apostle Paul encourages his readers to ‘know the mystery of God’. When considering Christianity and the rational proofs it communicates, our mind might ponder the statement, ‘Jesus died on a cross’. There is enough historical evidence to clearly define this statement to be objectively true. The doctrine of the atonement that says, ‘Jesus died for the sins of humanity’, goes a step further. This conclusion is saying that Jesus did not just die at a literal time in history, like many others under Roman persecution in the first century, but that through his death he offered atonement to the world. Is this objectively true or subjectively true? The postmodernist would say that it is subjectively true, and that is because, to the postmodernist, truth is relative. Let’s consider a little closer this idea of Christian truth, or rather the rational proofs of Christianity. Two perspectives come quickly to mind; firstly, the role of rational proofs for unbelievers and secondly the role of rational proofs for believers within a postmodern worldview. If we are speaking evangelically, that is, reaching an unbeliever with the transforming message of Christ, then objective truths may not be the avenue in which that person comes to faith in Christ. A postmodernist will not be wooed by intellectual rational proofs deriving themselves from a seemingly modernist Western World construct called Christianity. I agree with Kenneson (Phillips, 1995: 155-170) in the challenge for Christians to live out and embody the theological truths they communicate and that unbelievers will then and only then be captured by the reality of the gospel message. While his inability to concede in any objective truth is concerning, it is clearly true that unbelievers are no longer swayed by fancy, analytical apologetics, that highlight rational proofs of Christianity. This is not to say, that rational proofs are not important, it is merely conceding that rational proofs in reaching people with the message of Jesus is not the primary way people begin to have faith in Jesus. We only have to observe the faith journey of friends and family who have become followers of Christ, and we see Christians forming and establishing strong, close relationships with unbelievers, and through the embodiment of the gospel in their own life, the friend is drawn closer to Christ. For a Christian there seems to be a greater passion to seek out ‘truth’ than someone who is not a Christian. This is because partly within the Christian church there is a focus on doctrine and the understanding of facets of the faith you ascribe to. It also relates to biblical verses impressed upon the Christian, like Psalm 25:5, ‘Guide me in your truth and teach me, for you are God my Savior…’ Within the book of Matthew alone, as translated by the NIV, Jesus says 30 times, ‘I tell you the truth’ followed or preceded by a descriptive theological point. The Christian disciple quickly learns that Jesus is concerned with truth and therefore he/she should be concerned also. The word ‘truth’ or as other versions render it, ‘truly’ is actually the Greek word αμην which is pronounced ‘amen’. Unarguably the translation for ‘amen’ is ‘so be it’ when used by itself. So, Jesus proclaims aspects of the Kingdom of God, his nature, and faith, and he says, let these things be so. They are truth. A statement too definitive for the postmodernist, no doubt, but a clear, biblical example of the focus and significance Jesus holds towards people engaging with rational proofs of Christianity. Some may acknowledge the vagueness of some of Jesus’ statements when communicating with the disciples or the crowds, which is rightly noted. Clearly though, Jesus did not intend his words to be mere relative discourse that held no objective meaning to his listeners. For instance he says on a number of occasions that he will be killed and on the third day he will rise again. Plenty of historical evidence exists recording the literal rising of Christ from the grave on the third day. This was not a relative statement. What he said became true, and was fulfilled as objective truth when he actually rose from the dead. When we engage in theological thinking, we are attempting to understand the nature of God better. This pursuit of theological truth will always exist amongst the people of God, as Christians attempt to grasp the reality of their faith, and how it affects their life and the people around them. The fact is though, that people pursue theological understanding differently, and the emergence of a postmodernist worldview from a modernist worldview has widened the chasm of different theological understanding. 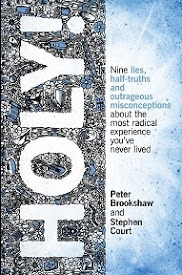 Henry (cited in Dockery, 1995: 44) writes that, ‘Theology is a lost cause if it is disengaged from the pursuit of universal truth.’ What Henry is saying, is that, without striving after ‘universal truth’ then theology is useless. Regardless of someone’s worldview (postmodern, modern, etc), if we are not seeking after real answers to questions about God, then what is the point of theology? If understanding the Christian faith merely informs us on a particular moral code to live out (according to our own interpretation of the Scriptures), and provides the occasional nice psychological message for secularists, then truth is compromised. As we have seen that while missiologically the postmodernist may not participate warmly to the theological discussion of truth, the postmodern evangelical is more likely to wrestle with grasping the rational proofs of their faith. So as we descend from our seemingly impossible mountain climb of rationalism and postmodernism, we find ourselves continuing the journey; the journey that takes us down roads of discovery and mystery as we embody the gospel in our everyday lives. Bosch, David J. (1991). Transforming Mission: Paradigm Shifts in Theology of Mission. Maryknoll, New York: Orbis Books. Dockery, David S. (1995). The Challenge of Postmodernism: An Evangelical Engagement. Grand Rapids, Michigan: Baker Academic. Evans, C. Stephen (2002). Pocket Dictionary of Apologetics & Philosophy of Religion. 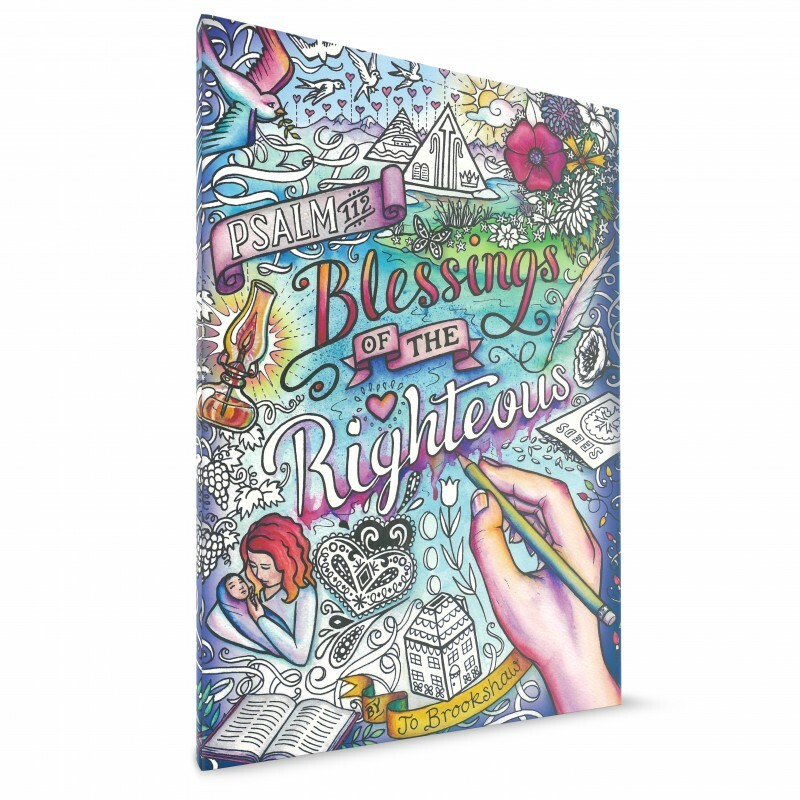 Downers Grove, Illinois: InterVarsity Press. Lyotard, Jean-Francois (1979). The Postmodern Condition: A Report on Knowledge. World. Downers Grove, Illinois: InterVarsity Press. If this is true, then this essay will not provide any absolute truths! Sorry!